If you’re an active personality on Facebook (despite everything that’s happened this week), then there’s a good chance that you receive tons of friend requests. While we try to keep our friends list limited to the people we are actually friends with, the request section looks very cluttered with pending requests of strangers. However, Facebook now seems to have figured out a clever trick to help reduce all the clutter. As spotted in the Facebook Android app (version 164.0.0.37.95), the social media giant is now testing an expiry deadline for friend requests. You now have 14 days to accept or decline a request, post which the request will be deleted and not remain in your friends section. In the past even requests from a couple years ago used to sit in your profile, with no recourse. This feature will greatly help in cutting down the number of pending requests – like the 497 I have right now, freeing the request section of unwanted users. As you can see in the screenshot attached above, the friend request pane now shows the “number of days to respond” tag under each profile. This number will start to decline and the pending friend requests will disappear after the 14-day deadline is up. 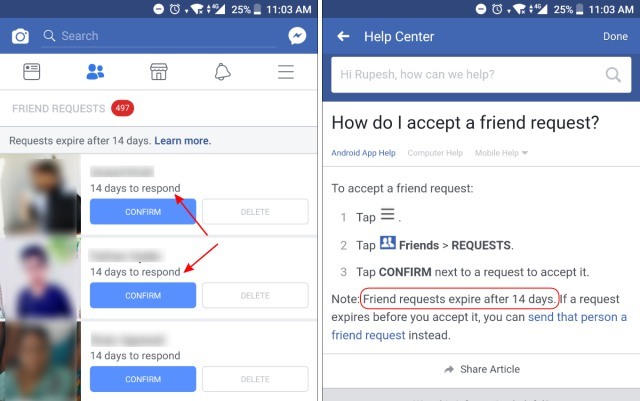 As per Facebook’s help page, once the friend request hasn’t been accepted and expires, then you will be able to send them a request if need be. The Facebook Help Center, accessed via the Learn More link on the friend requests page, has been updated with the new guideline. This change is, however, not yet visible to everyone at the Beebom office. 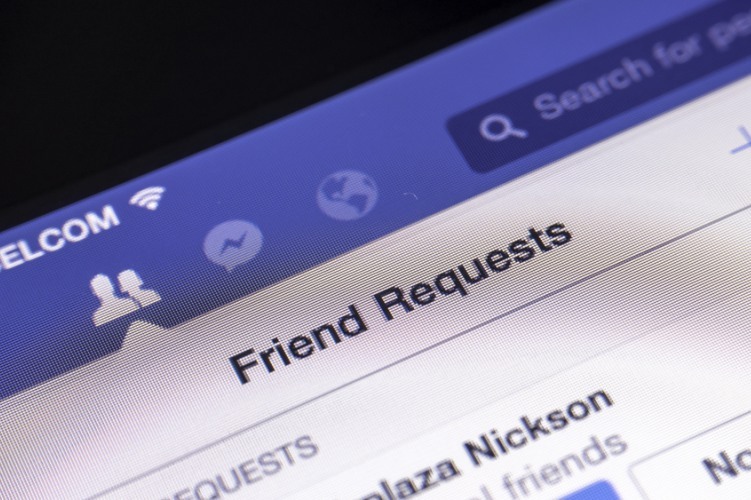 Pending requests keep piling up in your profile as most don’t tend to decline the friendship, but simply ignore it. To check the number of pending requests or accept them, tap the ‘three lines’ icon at the very top left. Then, navigate to Friends > Requests to see them all in one place. You can then choose to accept the ones you want or leave them to be cleared after the expiry date. This feature could be part of the company’s action plan to build a more close-knit community and incite meaningful interactions. So, isn’t this a nifty feature? Tell us your opinion in the comments below.